Hugo Franz Kirsch was born in Hainsdorf, Germany in 1873. Little is know or has been written about this competent German artist. Kirsch was employed by the Rosenthal porcelain company where he modeled animals that were cast by them. Very little of the work that he produced for Rosenthal was signed by him. This impressive, large bronze of two Borzoi dogs is one of only a few works done in bronze by Kirsch that bear his signature. 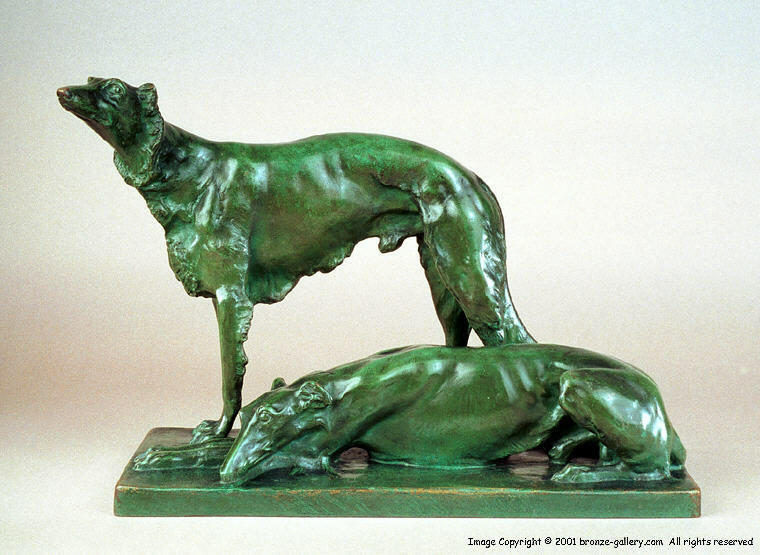 The two dogs are in repose and the sculpture captures their regal bearing. 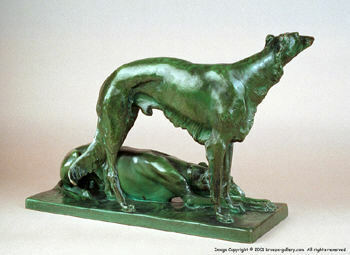 The bronze is a good cast stamped Austria and is finished in a wonderful black and green multicolored patina.